Two young brothers have been hailed as life-savers for dialling 999 when their dad had a seizure. Six-year-old Isaac and his older brother, nine-year-old Elliot, called the ambulance after their dad, March Le-fey collapsed at home. 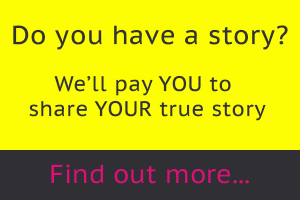 Elliot called 999 as soon as he realised his dad was unconscious and needed urgent medical help. The incident happened in November when March, who is Type 1 diabetic, was preparing breakfast for Isaac. March realised he was having a hypo, and alerted Isaac who woke-up his brother. Elliot first called his step-dad Ashley Curtis who works as a SWASFT paramedic, and Ashley told him to call 999. During the call Elliot tells the operator how his dad had collapsed at their home in Exeter, Devon. Elliott is then talked through helping his dad before his mum Liv, who is a registered nurse, returned home from a night shift moments. She found March lying on the floor and Elliot still on the phone. An ambulance attended and he has since made a full recovery. 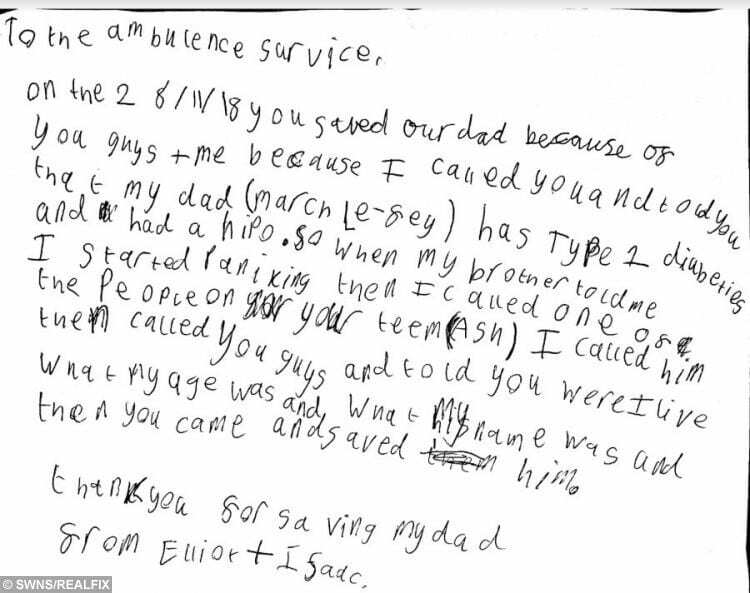 The letter which Isaac and his older brother Elliot sent to paramedics who helped save their dad. Elliot then followed up with a letter to SWASFT on behalf of him and Isaac thanking staff for “saving” their dad. Emergency Medical Dispatcher, Lucy, who dealt with the call, praised Elliot and Isaac for their response to the emergency. She said: “Both boys were outstanding. Isaac knew it was serious, and ran to tell his brother. Elliot was so grown up and knowledgeable on the phone. The boys and their family made a special visit to the SWASFT Control Centre in Exeter last week to be acknowledged for what they did. They were presented with certificates to congratulate them for what they did.